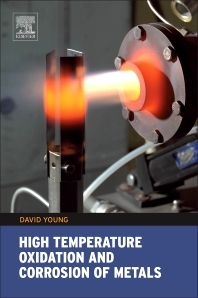 David Young was educated at the University of Melbourne then worked in Canada for 9 years (University of Toronto, McMaster University, National Research Council of Canada) on high temperature metal-gas reactions. Returning to Australia, he worked for BHP Steel Research then joined the University of New South Wales. There he led the School of Materials Science & Engineering for 15 years, and has carried out extensive work on high temperature corrosion in mixed gas atmospheres. His work has led to over 350 publications, including the books Diffusion in the Condensed State (with J.S. Kirkaldy), Institute of Metals (1988) and High Temperature Oxidation and Corrosion of Metals, 1st ed., Elsevier (2008). It has been recognized by his election to the Australian Academy of Technological Sciences and Engineering, the U. R. Evans Award, Institute of Corrosion Science & Technology, UK, the High Temperature Materials Outstanding Achievement Award, Electrochemical Society, USA and election as Fellow, Electrochemical Society.